Wilfred Daye, previous President and Senior Portfolio Manager for Noble Capital International, with experience in structured credit trader and desk quant for UBS, Deutsche Bank, D.B. 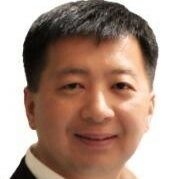 Wilfred is a leading expert in capital markets, focusing on various structured credit products, both cash and synthetics, and is now Head of Financial Markets at OKCoin, one of the world’s leading digital asset exchanges, with the aim to provide a fast and secure trading environment for global customers. From functional perspective, he has devoted his career in research, trading, and risk management, with previous responsibilities of portfolio construction and risk management of securitized product collateral during his role as Executive Director at UBS. Prior to UBS, he was a senior counterparty risk quant at Deutsche Bank. Other positions include Senior Portfolio Market Risk Manager (D.B. Zwirn, LLC), Head of Client Valuation (Lehman Brothers) and Risk Finance (Barclays Capital). Before joining the financial industry, with an educational background in biochemistry, University of California at Riverside, and financial engineering, Claremont Graduate University, Wilfred joined a PhD coursework in molecular pathology, University of Southern California Medical School, and he was a NSF translational research scientist specializing in breast cancer gene therapy.